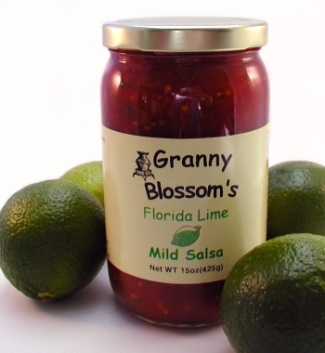 If you appreciate specialty foods made with Florida limes, or you simply like slightly tart yet fruity salsas instead of traditional or HOT salsa, then you'll want to try Granny Blossom's Florida Lime MILD Salsa. You've probably had Key West's Key Lime Pie, now try lime salsa. You won't be disappointed! And don't forget the Green Mountain Gringo Strips. The dipping chips that turn any salsa into a "power dipping" feast. 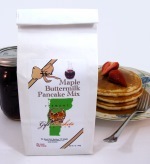 Granny Blossoms is a small Vermont family company that believes in the old fashioned concept of neighbors working together and sharing great food. 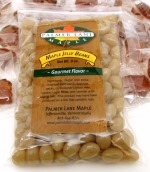 They are dedicated in making the highest quality, best tasting food to ever catch your eye and fancy your tastebuds. Ingredients - Red Tomatoes, Onion and Celery, Anaheim Chili & Jalapeno Peppers, Florida Lime Juice, Garlic & Cilantro, Herbs & Spices, Salt.